I ordered the Double Layered Baked Nachos at Fat Pour. 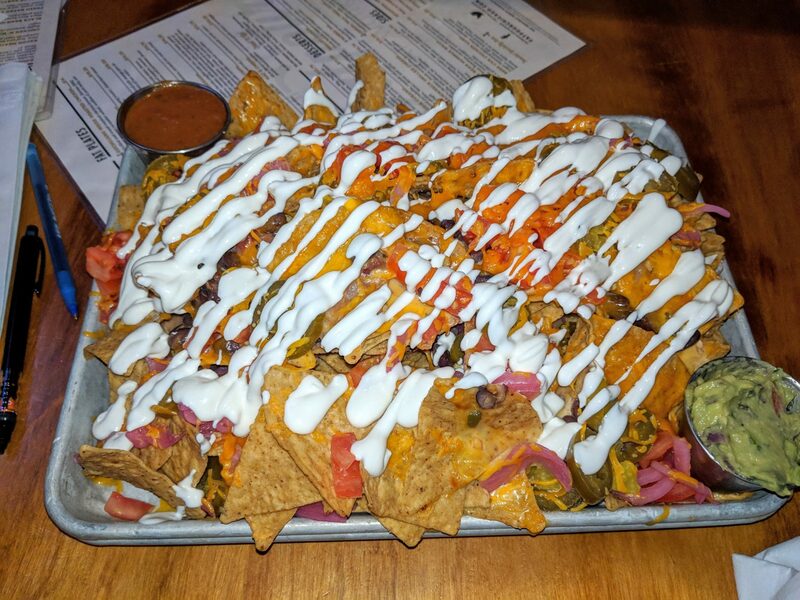 These nachos can feed the entire table. They are huge. There are two layers of toppings and many layers of chips. The cheese is delicious and it comes with a delicious smokey salsa. I would order these again with a larger group. Chips 5 – Very crisp and no sogginess to the very end. We were left with lots of uneaten chips. 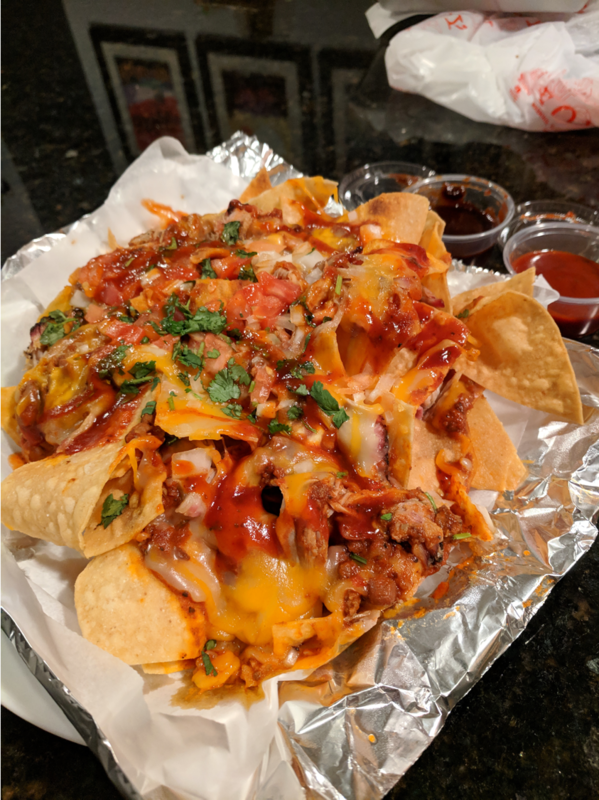 Architecture 3 – They are called double layer nachos and there was more than one layer but the chips to toppings ratio was off. 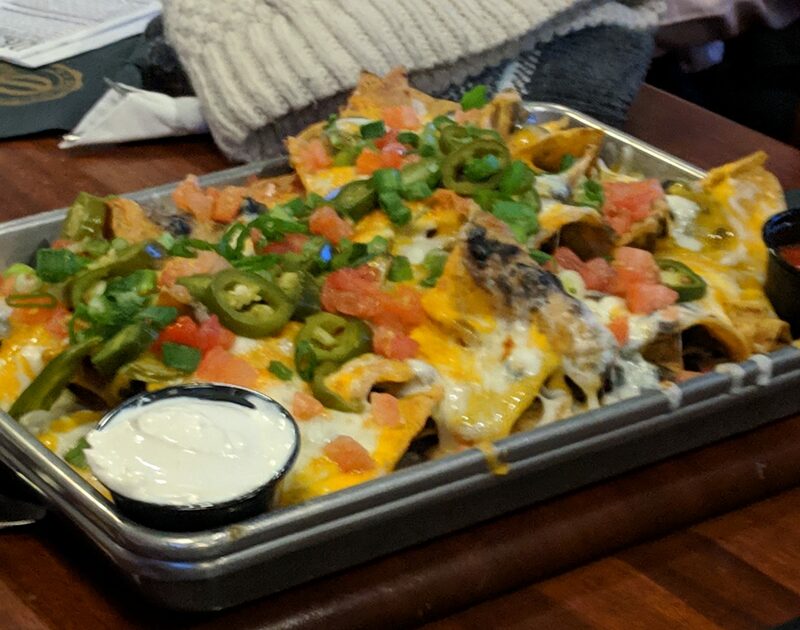 Value 5 – While these were on the high end for a plate of nachos it could have fed 4 – 6 people who were just out for drinks. The It Factor 5 – These came to the table and looked awesome with the spicy beer queso drizzled all over it. Timothy O’Toole’s – you spark endless joy. This bar is particularly close to my office, and I’ve been coming here on and off for approximately 10 years. A younger me was typically pumped about the extensive beer list. A present-day me encourages gatherings be held here for “nacho-related reasons.” Photos featured were taken in a hurry, as a group of us were about to descend on these platters like vultures. Their basic nachos are likely my gold standard for bar nachos. There’s nothing fancy about them, and everything delicious about them. Meat: 5 – Technically, there wasn’t any meat on this plate. But if we think “protein” instead of “meat”, I give a 5/5 for the black beans – perfectly cooked. Other ingredients: 5 – The cheese, tomatoes, jalapenos – perfect. The side containers of sour cream and salsa – even more perfect. 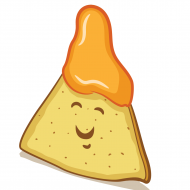 (Sour cream and salsa can be delicious, but can also make nachos prematurely soggy. This place has it down). 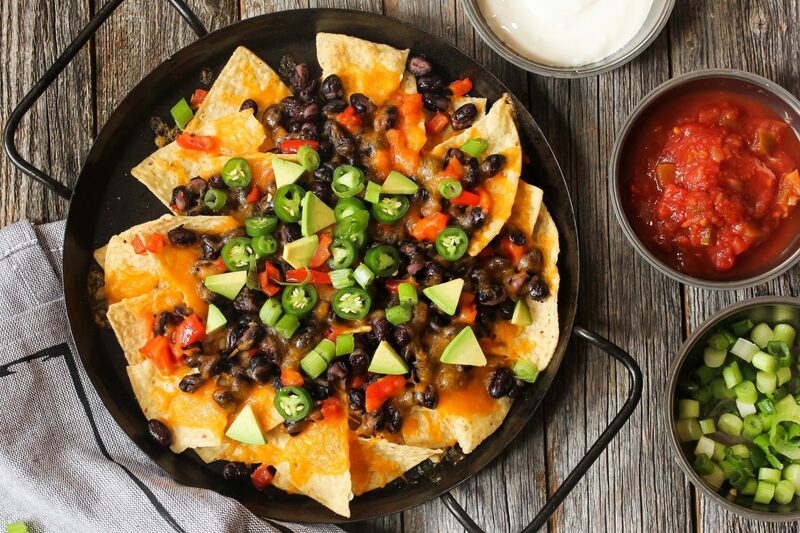 Architecture: 5 – These nachos are perfectly messy and loaded with toppings. A handful of chips weren’t covered, but there were ample toppings to make this feel right. Value: 3 – These aren’t expensive and the platter is decently sized, but I always want more of them. How much I love these nachos is clearly confounding my value rating. The It Factor: 5. Have I mentioned I love these? Next: Irish nachos. 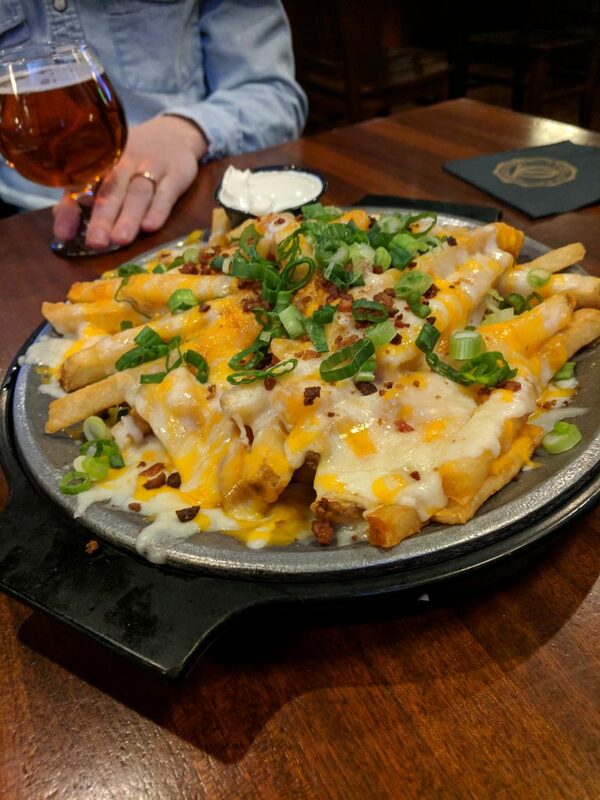 The Irish nachos are… very tasty cheese fries. Other ingredients: 3 – the ingredients are mostly cheese. I love cheese. But it’s not the best cheese. Chips: 4 – clearly these are fries instead of chips, but they’re really good fries. Architecture: 4 – how the kitchen manages to get so much cheese on each fry amazes me. Excellent architecture. Value: 3. I don’t know. It’s fine. I couldn’t eat these as a meal. The It Factor: 3 – this plate doesn’t wow me. However, I grew up on a heavy potato and cheese diet and this plate feels like really solid comfort food. Last week, General Cheese and I found ourselves face to face with this plate of pulled pork nachos delivered from Smoke Daddy. Nachos pictured. Happy souls resulting from nachos not pictured. To start bringing some order to our nacho reviews, we devised the following rating scale with each category rated on a 1-5 scale. 1 = an utter disappointment, 5 = a cause for celebration. Value: 4 – At approximately $12 for the plate, this was a great dinner for two with some leftover for site creator Alex b’s late night snack. To kick off our series of nacho fandom, we’re reviewing a homemade plate of nachos. Served for dinner on a snowy Friday night, these nachos hit the spot but weren’t a contender for BEST NACHOS EVER EATEN. 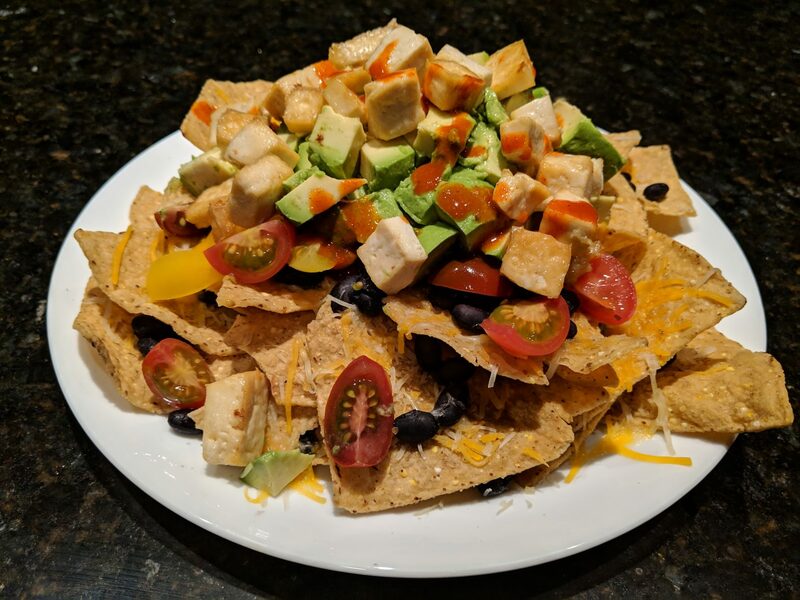 Pros: Abundant avocado, crispy tofu, fresh tomatoes and black beans were tasty toppings that made us feel not too bad about eating nachos for dinner. Cons: Finely shredded cheese didn’t hold up well. Also, we’re skipping added sugars this month, and most of our favorite salsas were off-limits because of this silly diet rule. Nachos with salsa are better. Hello and welcome to the first post. All fans of nachos are welcome here. We will be using this platform to review and discuss restaurant and home cooked nachos.